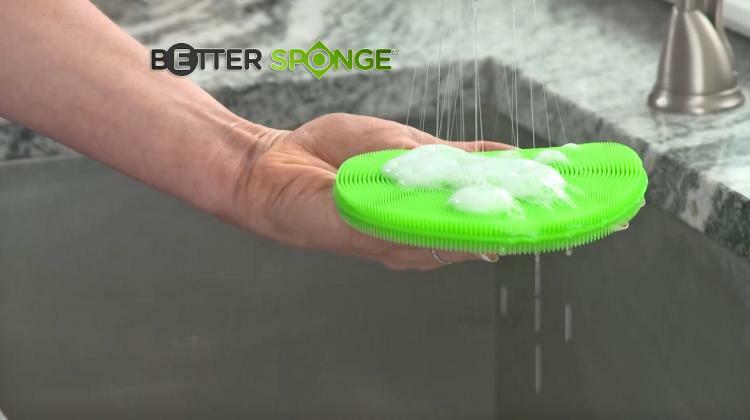 The Better Sponge is made from high-grade silicone and features three-thousand little soft bristles that easily get the cleaning job done while still being non-abrasive. It's especially great on surfaces that scratch easily. Unlike normal sponges that collect dirt, bacteria, and mildew, the Better Sponge is mildew and bacteria resistant so you'll never have to worry about getting sick from your sponge. The Better Sponge easily rinses clean when it gets dirty, and you can even slip it into the dishwasher to keep it extra clean. 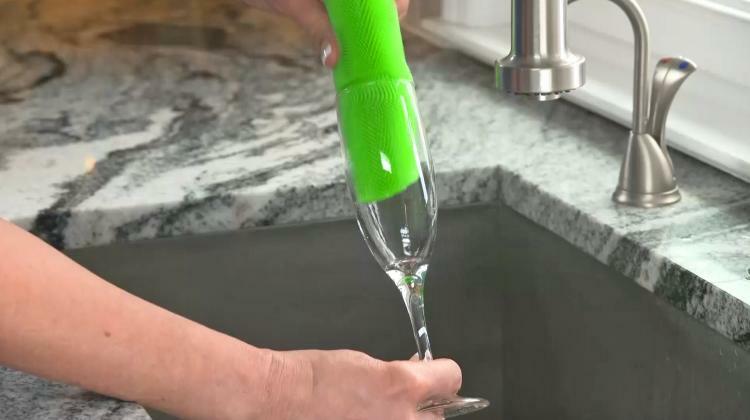 A built-in suction cup on the end of the sponge lets you easily hang it in your sink for quick drying, or there's also a hole for easy hanging elsewhere. This unique sponge is also super flexible, so it can fit into pretty much any nook and cranny on those oddly shaped dishes and glasses.